Some members of "Ballet Nepantla" rehearse for their inaugural show on Saturday September 16, 2017.Reynaldo Leanos, Jr.
Andrea Guajardo, 26, has sweat coming down her face as she dances. She’s spinning around in a black skirt, stomping on hardwood floors and prancing around the small room carefully not bumping into the other dancers. Guajardo is from the Río Grande Valley of south Texas on the U.S.-Mexico border and always knew she wanted to be a dancer. She began training in ballet when she was two and a few years later, folklórico was introduced into her dance curriculum. Flash forward 20 years and about 2,000 miles away from home, Guajardo is now a dancer, choreographer and co-founder of a dance company named Ballet Nepantla in New York City. The word Nepantla is an Aztec term that roughly translates to the in-between-space. Dancers from "Ballet Nepantla" rehearse for an upcoming show. Guajardo says that's a term that many Latinos can relate to — the idea of living between culture. She feels it's perfect within the realm of dance, fusing traditional ballet and folklórico pieces. “Half of our dancers are Folklórico dancers and the other half are contemporary dancers,” says Guajardo, explaining many of the dancers were not initally familiar with either folklórico or ballet or modern dance. Creating the dance company allowed Guajardo to bring young dancers from the Río Grande Valley to New York City. Members of Ballet Neplanta practice for a show.Reynaldo Leanos, Jr.
Guadalupe Garza, 18. Garza had never been on a plane prior to coming to New York City. 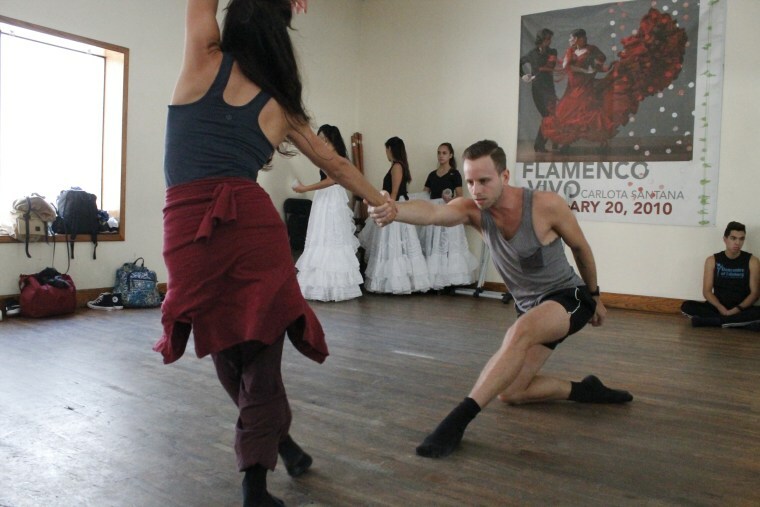 His expertise is in folklórico and says this experience has has widened his dance perspective. “Usually people are strictly stuck on traditional Mexican folklórico and it’s really beautiful to see new things coming and being put together,” says Garza. Francesca Iannelli, 22, says she and her college roommate had been planning to move to New York from the Río Grande Valley after they graduated from college to see if they could audition for Broadway shows. They had no concrete plans to do it, however, until a call from Guajardo solidified their aspirations to move to the city. “That was the only thing I could think of until I graduated,” said Ianelli. These Valley natives will be performing in Ballet Nepantla’s inaugural show on Saturday in Queens, New York. Iannelli, Garza and Guajardo are excited to share their Mexican and border identity with those attending. For Guajardo, it’s a little more personal because she feels her culture is sometimes misunderstood.